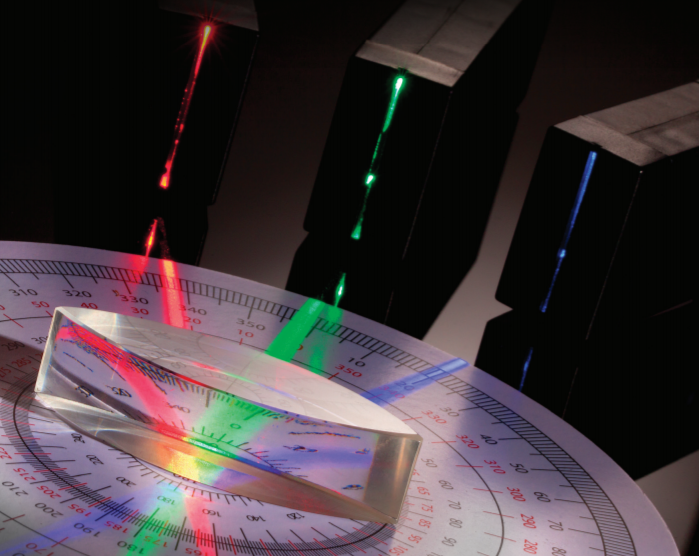 This booklet of 10 hands-on elementary STEM lessons is the foundation for a comprehensive unit on Light and Optics. From reflection and refraction to a model for how we see and an introduction to color, these activities are scaffolded to leave your students ready to take on the next level. Tech Light Lab: 3 Light Blox (red, green, blue), 2 mirrors with mirror supports, 1 diffraction grating, 3 acrylic lenses (concave, convex and trapezoid) and a protractor! plan and conduct investigations to determine the effect of placing objects made with various materials in the path of a beam of light.